Just because a material is inexpensive doesn’t mean it needs to look cheap. 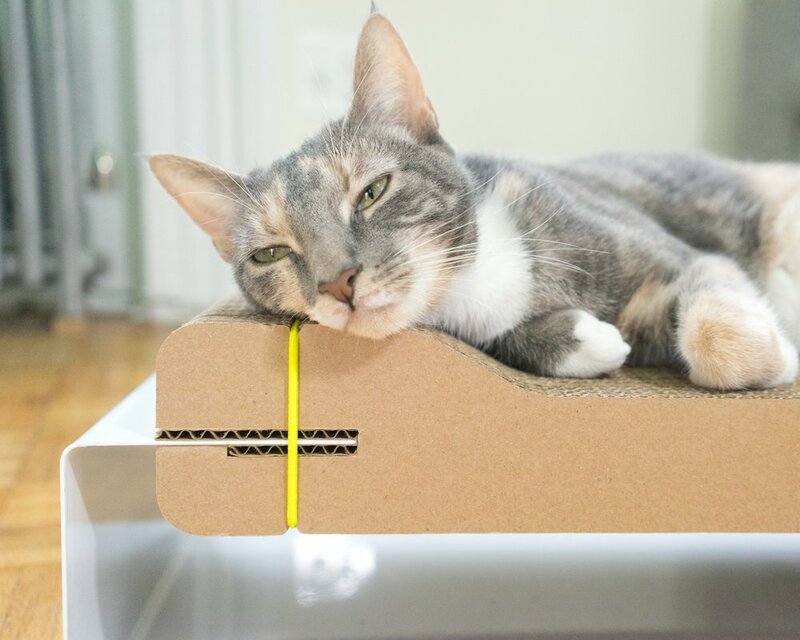 Cats love scratching cardboard, so we thought it was time to elevate the status of the humble cardboard scratcher. With clean lines, a simple design, and a pop of color, The Corr Lounge is the perfect cardboard scratcher for your modern home. The shape of our lounge is perfectly suited for the shape of your kitty. With a raised area on each end, they’ve always got the perfect place to rest their weary kitty heads. Our patent pending elastic strap design means the individual cardboard layers are not glued together. This makes for a simpler product with less waste. You can even switch or move damaged layers to keep The Corr Lounge looking like new. The Corr Lounge comes with a durable metal base that raises the action up off the floor. The cardboard core is replaceable, meaning you can keep a high-design look without paying a high-design price when it wears out. For those who want all the great functionality, ergonomics, and simplicity without the elevated base, we’re offering the cardboard refill by itself as The Corr. 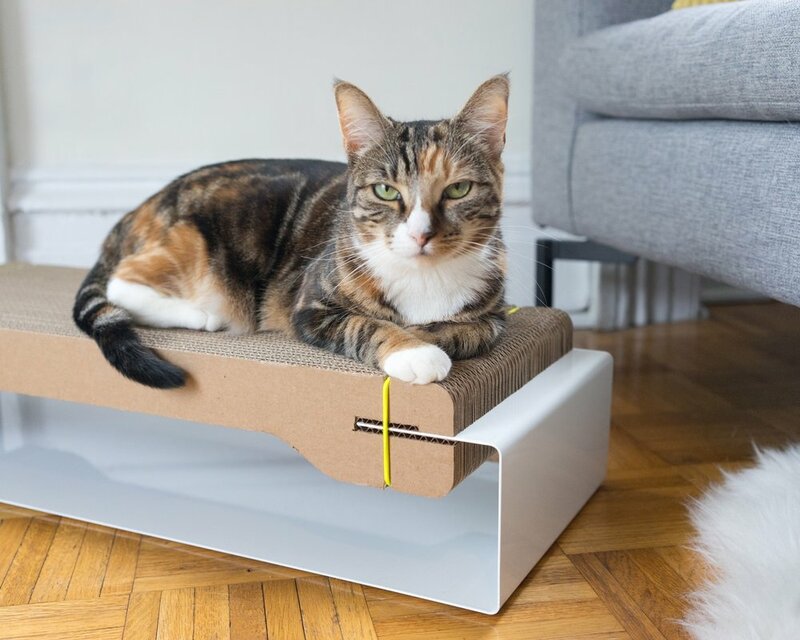 Is a bigger, flatter scratching area your kitty’s thing? Or perhaps your cat is just looking for a little variety? Either way, our cardboard core flips over, giving you two sides to choose from and making each refill last twice as long.